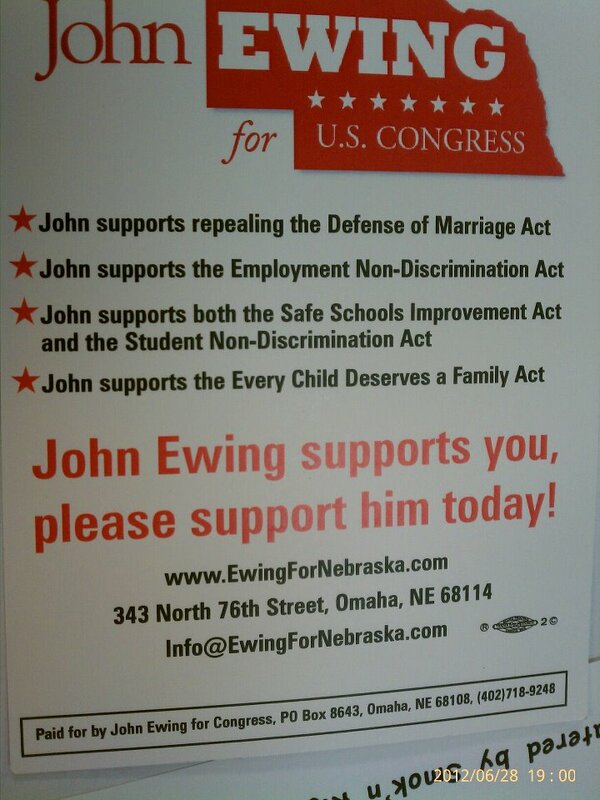 OMAHA, NE – Members of the LGBT Community running Congress made great showings in their races. LGBT incumbents and challengers who were elected to Congress this cycle! One Gay GOP candidate lost his election: Jared Polis (CO-2), David Cicilline (RI-1), Sean Patrick Maloney (NY-18), Mark Takano (CA-41 Asian-American), Mark Pocan (WI-2 Tammy’s old seat), Kyrsten Sinema (AZ-9 Bisexual woman), and Tammy Baldwin (WI-Senate). It doesn’t stop there, the LGBT community helped re-elect Barack Obama and four ballot measures concerning LGBT issues passed in four states. Mark Takano’s election to California’s 41st Congressional District makes him the first openly gay person of color elected to the US Congress. Takano won easily with 56.4% of the vote. Tammy Baldwin’s election to the Senate makes her the first openly LGBT person ever elected to the Senate. Baldwin won her election despite constant smears by her opponent, calling her radical liberal. Her GOP opponent, former WI governor Tommy Thompson once said, “Tammy Baldwin is so liberal that even Nancy Pelosi has to turn left to talk to her.” I can see why he lost. LOL. “I am well aware that I will be the first openly gay member of the U.S. Senate, but I didn’t run to make history. I ran to make a difference,” Baldwin told supporters after her victory. Mark Pocan won election to Tammy Baldwin’s former House seat, marking the first time members of the LGBT Community held a Congressional seat consecutively. It is also the first time a state has sent two representatives to Washington, DC. The elections of 2012 are a huge victory for the LGBT Community. The number of representatives in the US Congress almost doubled with the number reaching a record 7. Keep your chin up for movement on issues like Employment Non-Discrimination Act (ENDA), Bi-National LGBT couples, and bullying. The year 2012: a landmark year, a landslide for equality.